A football player and wrestler, Dr. Rob enjoyed living actively until he was sidelined by a car accident. In just three months’ time, his health slid downhill. He was getting sick all the time, couldn’t sleep, had headaches, and suffered from bad digestion. When chiropractic entered the picture, it changed my life and helped with things I would never have associated with my spine. Feeling that his entire existence had been transformed, Dr. Rob enrolled at Life University in Marietta, GA. He was also hand selected to work with Life University’s Sport Science Institute. The Doctor of Chiropractic he earned was a perfect complement to his undergraduate degree in Exercise Science and Public Health from Mount Union College. While there, he also played as a Purple Raider, winning consecutive Division III National Football Championships. During his years at Life, Dr. Rob met his wife and best friend Dr. Lisa. Since graduating, his mission is simple: to be the best husband, father and chiropractor possible while providing specific, scientific chiropractic care. He strives to help the families in our community live the highest possible quality of life. A particular passion of Dr. Rob’s is helping moms with prenatal chiropractic, as well as infants and children through pediatric chiropractic care. He has also worked with many athletes and studied at the Atlanta Sport Science Institute. Dr. Rob loves spending time outside in our beautiful community, whether snowboarding, paddle boarding, surfing, mountain biking, rock climbing or trail running. Inspire Chiropractic & Wellness Studio proudly sponsored Femsport, a women’s strength and fitness challenge competition. 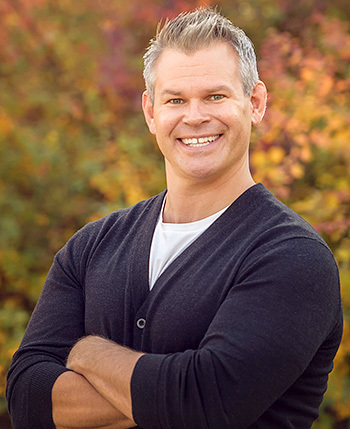 He also stays active professionally as a member of the International Chiropractic Pediatric Association and the Kamloops Chamber of Commerce. Contact Inspire Chiropractic & Wellness Studio in Kamloops today to learn more about what we do or to schedule your appointment!